A number of Toolkits and Guides are available on implementing or expanding assisted transportation services. These resources include information on developing and implementing an assisted transportation service, information on volunteer driver programs including management resources, and information for drivers of seniors and persons with disabilities. Sections in the Toolkit are: 1) Getting Started, 2) Developing & Implementing a Project Plan, 3) Conducting a Community Transportation Needs Assessment, 4) Developing & Successfully Launching Your Transportation Service, 5) Receiving Feedback & Evaluating Your Transportation Service, and 6) Building a Sustainable Transportation Service. 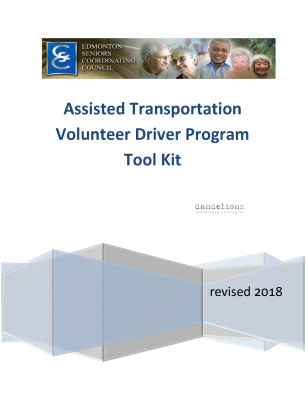 This Volunteer Driver Program Toolkit was developed by Dandelionz Leadership Strategies in 2011 for the Edmonton Seniors Coordinating Council and was revised by the Council in 2018 to strengthen the capacity of senior-serving organizations providing assisted transportation services. 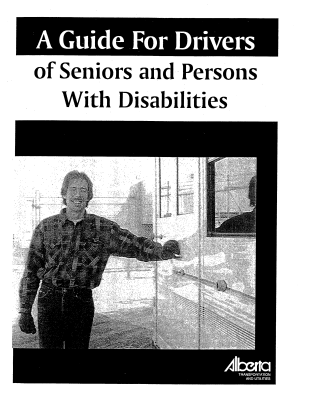 It is a 23-section guide to help in the planning, development, and audit of volunteer driver programs. Sections include information on program planning, risk management and insurance, driver competencies, recruitment, training, and supervision, as well as policies and procedures and program evaluation. 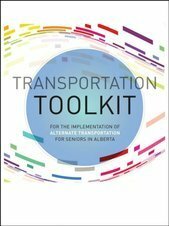 Developed by Alberta Transportation, this Guide for Drivers of Seniors and Persons with Disabilities offers information on suggestions on customer service, handling of mobility aids, loading and unloading passengers, defensive driving, collision & emergency preparedness for drivers of seniors and persons with disabilities. While this document was published several years ago, the content is still current and relevant.